Abstract: We gave away two Top of the Line video cards and asked the respective winners to tell us what they though of them... So here is Sandals review of the Asus V6600 Deluxe! Asus made multiple models of the GeForce card, differentiated by the memory type and the features. The cards in the V6600 line are SDR cards, meaning that the memory runs at 166 Mhz. The cards in the V6800 line are DDR cards, with memory running at 300 Mhz. In each line, Asus offers the Pure and Deluxe models. The Pure model has only the standard VGA out. The Deluxe model adds: Video output, Video input, and 3D glasses. There is one more distinction in the V6600 line. Some cards are SDRAM models, and some cards use the faster SGRAM. The card I received was a V6600 deluxe with SGRAM. Physical installation was easy. There was one jumper that had to be set to determine whether the video should use the NTSC or PAL standard. The manual was very complete for Windows 95/98 users, and explained the installation process and the bundled software with a good amount of detail. Only one page describing the driver install process was included for Windows NT users. The drivers could be installed through the Display control panel or through a utility on the CD that promised to install the Asus video drivers, DirectX 7.0, and any AGP drivers required for the motherboard chipset. The install utility did not work for me - it did not install the video drivers correctly, it gave me a cryptic message when attempting to install DirectX, and the AGP driver installer did not detect the MVP3 chipset used on my motherboard. In addition, the Asus video drivers and the AGP drivers on the CD were at least 2 revisions out of date. The 3.48 drivers on the CD, when installed manually, did not allow me to set up my card beyond VGA display settings. I downloaded version 3.68 from the Asus web page, installed them manually, and was able to use the card correctly. I also downloaded the latest 4-in-1 driver set from Via. From the taskbar, video settings can be changed, with the last 5 resolution/color/refresh combo settings available on the main menu, and all other settings available through submenu selections. The properties for the card's special features and Windows display can be launched, and the tweaking, monitoring, and video capture utilities can be launched as well. The tweak utility allows the core clock to be set from 120 though 142 Mhz, and the memory clock to be set from 166 through 195 Mhz. The tweaking was easy, and settings can be saved for the next bootup by setting a check box. The Smart Doctor monitoring program reports voltage, temperature, and fan speed of the card. This app was simple and well done, but I would like to see an integrated application that allows the motherboard monitoring to be done from the same program. Smart Doctor will reduce the clock speed of the core temporarily if it notices an over temperature condition or if the card isn't being utilized. The Asus Live Video program is used to capture still frames & movies through the video input on the Deluxe card. This program was easy to use, especially in comparison to the ATI application I had used before. 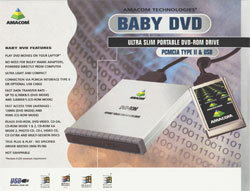 Other bundled software included an Asus DVD player application, Ulead Video Studio 3.0 LE for editing video and performing MPEG compression, a VR picture viewer for the 3D glasses, and the full games Drakan and Rollcage. A CD "Games Power Pack 1" with 12 other games was also included, but two of them were Drakan and Rollcage. A notable omission from the games pack was anything that uses OpenGL or DirectX 7.0, which is a prerequisite for a program to take advantage of the T&L on the GeForce. A TWAIN driver was included for the video capture. The documentation says that the TWAIN driver will work only with Adobe Photoshop. I was able to use the driver with Adobe PhotoDeluxe (bundled with my scanner), but not with VidFun (another image editing program). A Video Security program was included that promises to use the video capture to look for changes in an area being monitored and alert the user.